The Downtown Block Party Concert Series is held on Thursday nights during April and May and again in September and October under the lights on East College Avenue. It is sponsored by local businesses and draws in crowds of all ages to enjoy the music from bands and artists to Downtown Hartsville. This spring, Main Street Hartsville has a great lineup of four bands that are ready to bring tons of energy under the lights on the 100 block of East College Avenue. The Main Street Hartsville program is a partnership of the City of Hartsville and Main Street South Carolina, a service of the Municipal Association of South Carolina. 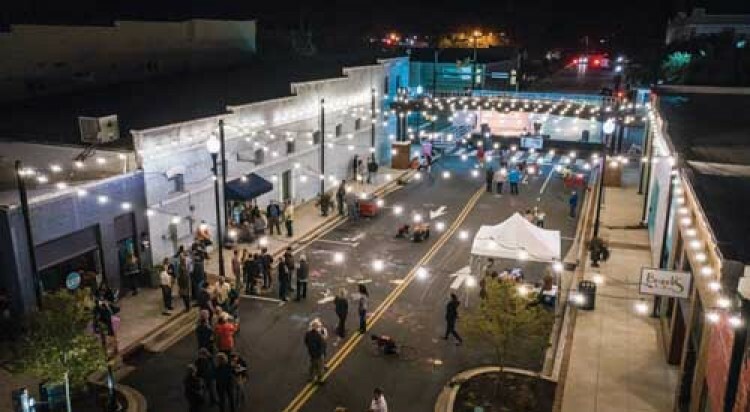 The organization seeks to enhance downtown revitalization in Hartsville through efforts focusing on the City’s master plan, including organization, design, promotion and economic restructuring.